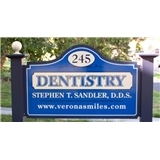 Verona Smiles (Verona) - Book Appointment Online! We are a family oriented dental practice. We place special emphasis and pleasure working with people who are apprehensive about dental treatment, and enjoy taking the time to ensure that their preferences and needs are always considered as an important part of their comprehensive treatment. Dr. Sandler's office was wonderful. I'd procrastinated on getting a dentist after moving to the area and am kicking myself for not seeing Dr. Sandler sooner. He and his staff couldn't have been more welcoming, warm and thorough. It's weird to say I had a "good time" at the dentist but it's true. Highly recommended!